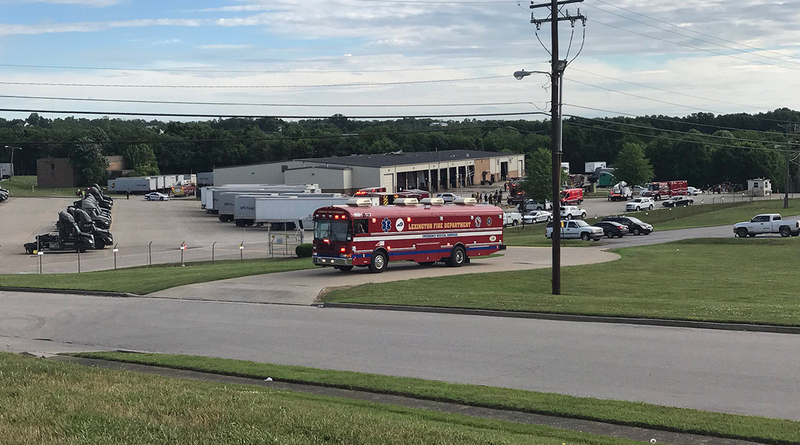 LEXINGTON, Ky. — An explosion damaged a UPS freight hub May 30 in Kentucky’s second-largest city, sending multiple people to the hospital in what fire officials described as an accidental blast. Eight people received medical attention, Wells said. Two people taken to the hospital suffered from burns and possible concussions, and six others in the vicinity were taken to the hospital for observation as a precaution, Wells said. Fire officials initially said about a dozen people received medical attention. Structural damage was significant, with most of the damage being to the walls and roof of the building.